Today i'm sharing some Dining Room inspiration with you, I actually don't have a Dining Room but when we have a house I really want a Dining Room, at my parents we always use it and have family meals and even last night we went round for dinner and my aunt and cousin came too and it was lovely to sit around the table and eat dinner and chat. My parents dining room is open plan with their kitchen so when we have people round for parties etc the Kitchen/ Dining room is where the party happens. 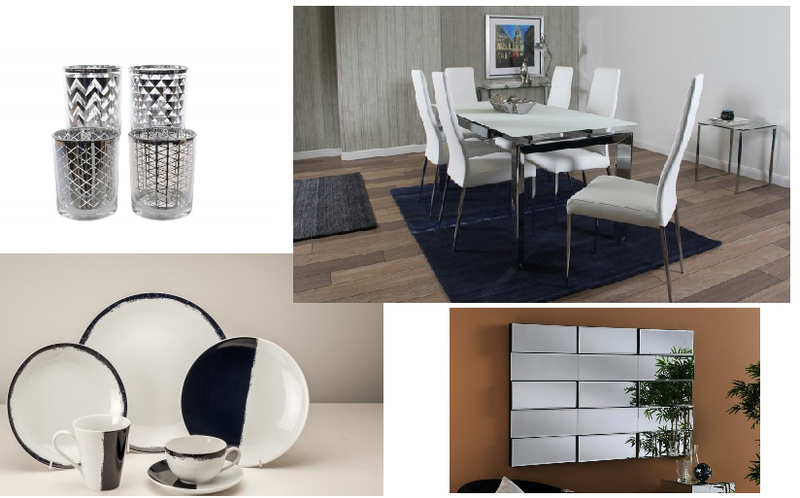 I've got a couple of inspiration boards to share today both feature items from Fishpools, they have a huge selection of Dining Room products so lots from Dining Tables and sets and Bar Stools. They also have a range of accessories to kit your new dining room out too. I've gone for a more traditional dining set above, if you live in a more traditional house or your kitchen/ dining room isn't very modern you may want to go for something like this. I love the Wooden top on the table and think white furniture is great to make a room look clean and bright. The dining table has a cottage feel to it which I love. I think this side table would look fab and i'd add some colour to the room using curtains and textiles. This dining set is gorgeous this would be a great way to add colour to the room during a dinner party. Below is a more modern style dining table and i've added some more modern accessories. Mirrored furniture always looks more modern to me, and i've picked out a monochrome dining set as again I think this would look more modern. The table and chairs set look really modern and clean, I love them and if I moved into a modern house I'd go for something like this. I would decorate with silver / mirrored furniture and accessories like these tealight holders and this gorgeous mirror. 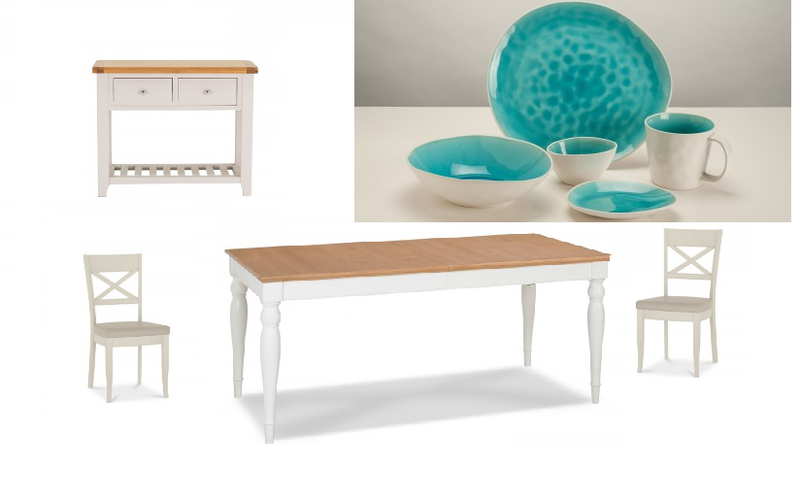 All these items can be found at Fishpools.co.uk and they have a huge selection of furniture for your whole house not just your dining room.